It’s hard to believe that it’s the last week of August and summer is drawing to a close. We thought that the perfect way to celebrate the end of summer would be to celebrate with some gooey, melty s’mores. Fair warning – we haven’t mastered the art of taking perfect pictures of massively messy concoctions, so brace yourselves – this gets gooey. But MAN, if you’re throwing a Labor Day Barbecue or a beach bonfire, consider setting out the fixings for s’mores. They’re a great picnic food idea – with the right mix of ingredients and options, everyone can customize their own. If you’re only here to find out about our Labor Day Sale, scroll down to the bottom of the entry. As you can see, we have a bit more than the traditional fixings on the table. 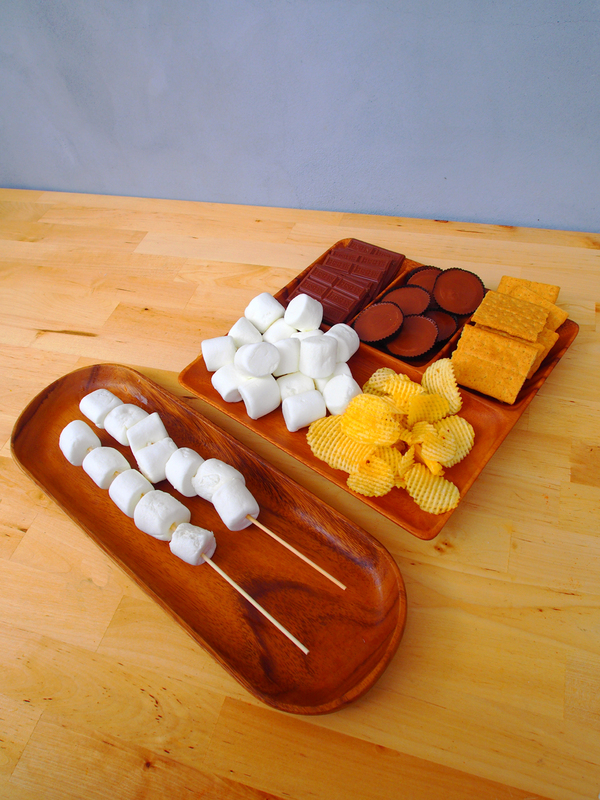 But I always do start with traditional s’mores ingredients – milk chocolate, marshmallows and graham crackers. No matter how many delicious fixings you have, someone in your crowd will be a purist. And that’s totally fine. Toast your marshmallow. Either toast on a stick over a fire, or lay on half a graham cracker and broil in the oven. 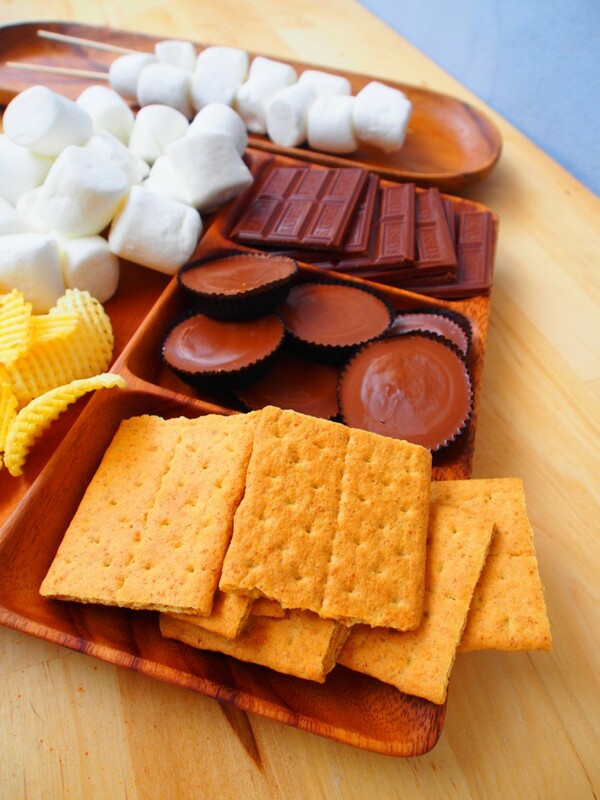 Layer your s’more. You’re making a sandwich here, with the graham crackers as bread. 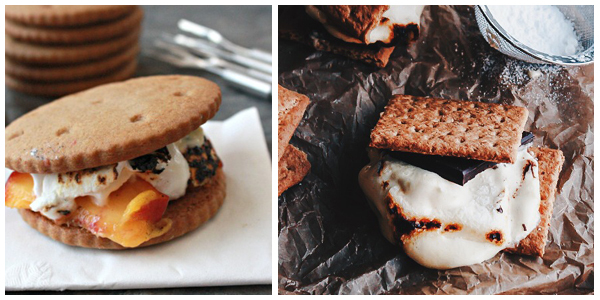 1 cracker, then the chocolate, then a hot marshmallow (for maximum meltiness) then the second graham cracker. Enjoy. It’s really that simple, and it works for pretty much everyone. So, you’ve got the basics down and want to know how to make a s’more that’s a little more gourmet? The only thing that really needs to stay constant is a marshmallow. Beyond that, listed below are some flavorful twists we’ve created to switch it up. Also, for fun, some ideas from other bloggers we love! Add something salty. We did a layer of potato chips between the chocolate and the marshmallow for that super-trendy sweet and salty thing. I’ve also used pretzels or even a sprinkle of salt. Use fancy marshmallows. I recently came across some DELICIOUS coffee flavored marshmallows at a gourmet store. 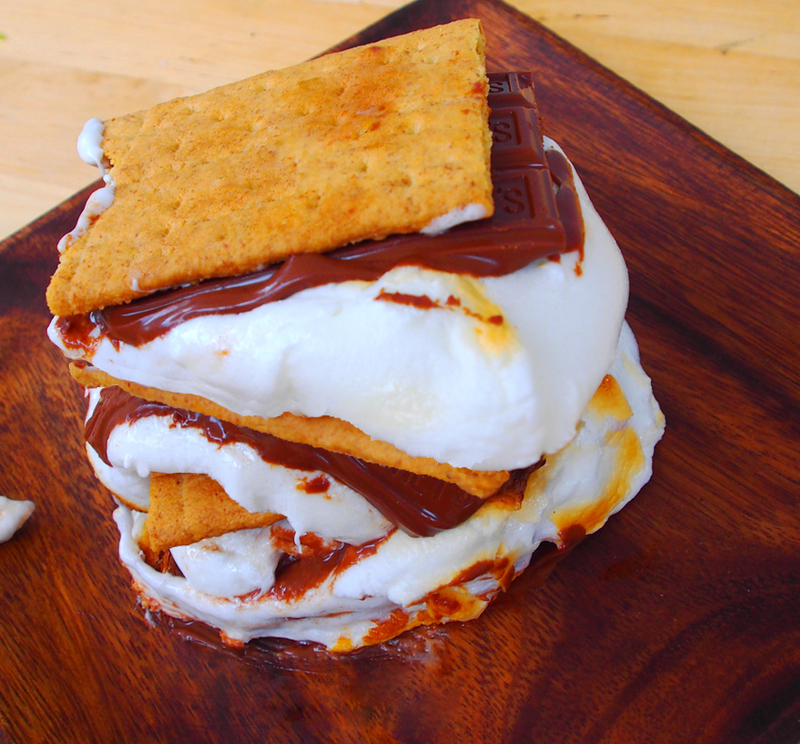 SO good in s’mores. Check gourmet websites and stores for interesting flavors. Change out the cookies. Graham crackers are traditional, but as long as your cookies are big enough to contain the deliciousness of a s’more, you’re good. Chocolate chip cookies work, gingersnaps are delicious. Also, ritz crackers and mini marshmallows are insanely good for s’mores. YUM! Add sliced fruit. Thin sliced strawberries, crushed raspberries or slices of orange work so well with chocolate, marshmallows and the smokiness from a fire. It’ll add something addictive and unexpected! Get saucy – add nutella, peanut butter or even caramel sauce for a little something unexpected! 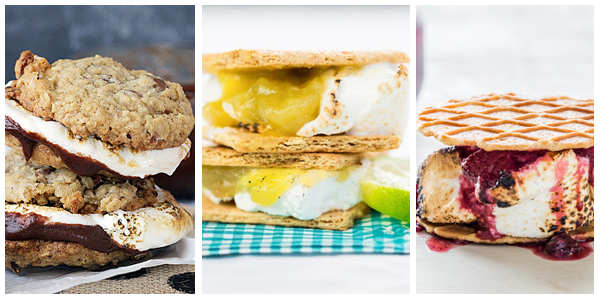 And from some of our favorite bloggers, even more fantastic s’mores ideas. From Left to Right: (Top) Bourbon Bacon S’mores from Beyond Frosting, Key Lime S’mores from The Kitchn, Roasted Berry S’Mores from Jelly Toast Blog. (Bottom) Peach and White Chocolate S’Mores from Peanut Butter and Julie, Dark Chocolate Passionfruit S’mores from Blogging Over Thyme. See how many amazing options there are? Also, if anyone wants to give us some tips on photographing s’mores, we’d be interested. Clearly, it is possible. Annnnd, Last but certainly not least, let’s talk about the sale. We’re doing a labor day weekend Placemat and Wood extravaganza! 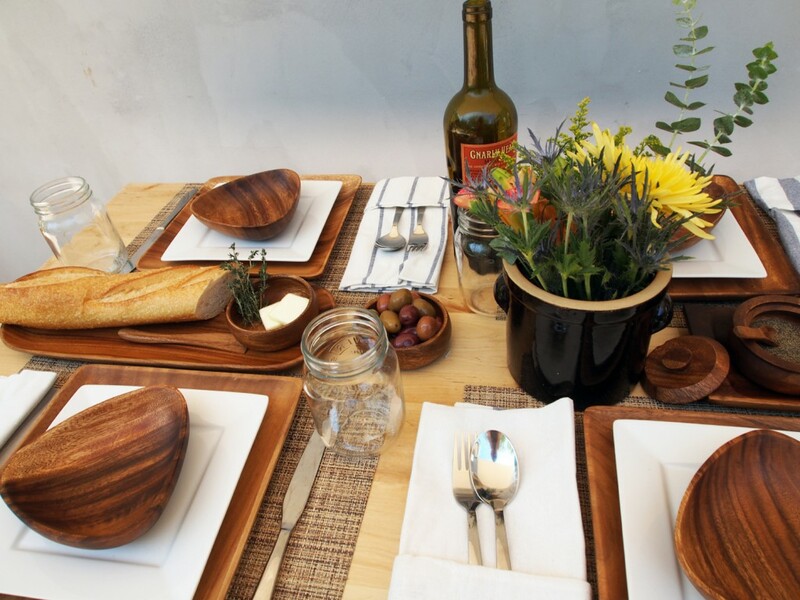 Our placemat line and our Acaciaware wood line are beautiful transitional pieces – they work both outdoors and indoors, so whether you’re out on your patio enjoying the end of summer or dining indoors, they’ll look lovely. 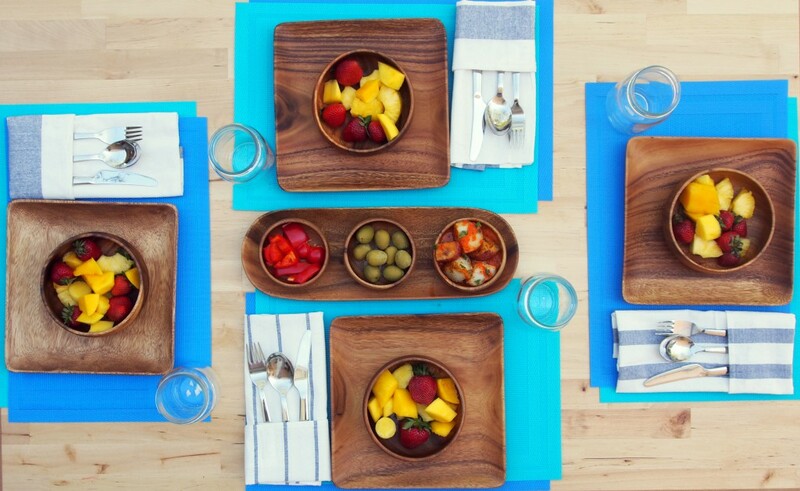 Enter “LaborDay” at checkout for 25% off all retail orders of our placemats and our wood products. Good stuff, right? Happy Labor Day, friends! Enjoy your holiday. You’ve earned it. Picnic Food Ideas – Just in Time for a Labor Day Picnic! It’s hard to believe that Labor Day is just around the corner! Where has the summer gone? With schools starting earlier and earlier, Labor Day is no longer as big of a deal, but it’s still the perfect 3 day weekend to enjoy time with friends and family. One of my favorite ways to celebrate is to really harness the awesome summer weather and have a picnic. Whether it’s at a park, at the beach, or just in my own backyard; there’s something about eating outside, enjoying nature and playing games that’s just so darn fun! Want to throw the best picnic ever? 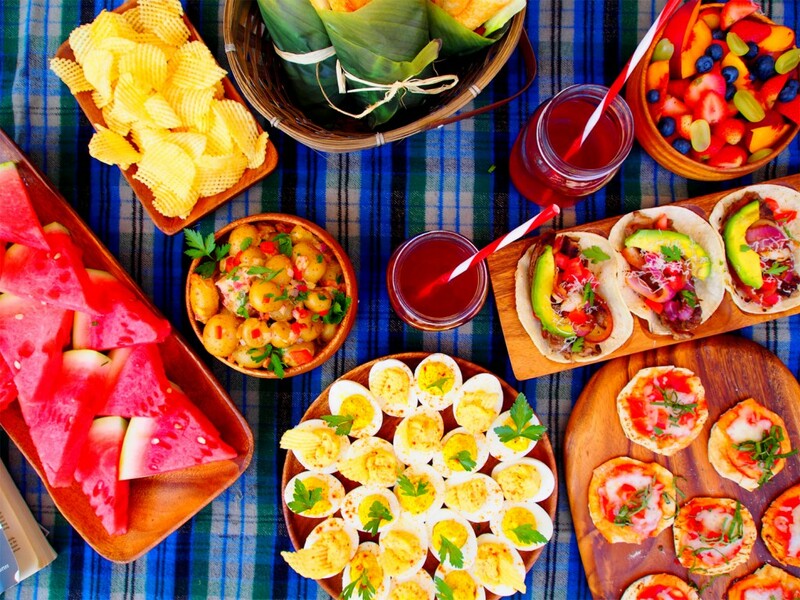 Keep reading for tips on how to throw a picnic that’ll blow everyone’s mind. Or, if you’re just here for the recipes, scroll to the end of the post for a killer chicken sandwich recipe that’s picnic (or lunchbox) perfect! Pacific Merchant’s Guide to the Perfect Picnic – Food, Gear and More! Pick the perfect place: it could be a picnic area in a park, a beach, your favorite hiking trail, or even your backyard. What matters is that YOU and your guests are outdoors, having fun. Consider a late-afternoon picnic rather than lunch to avoid being out in the worst of the sun’s rays. Fend off pests: if you’re putting together a picnic somewhere prone to bugs, consider one (or more) of the following: Keep food in covered containers, bring citrus peels and mint (bugs hate those,) light citronella candles, or distract bugs by placing a saucer of sugar water a few yards away from your picnic spot! Find the perfect picnic blanket: (or DIY it) I’ve used everything from a flannel sheet to an old blanket to a dedicated picnic blanket. To keep the blanket (and our behinds) dry, I lay down a tarp or a cheap shower curtain under the actual picnic blanket. Chose dishes wisely: Sure, you can absolutely use disposable dishes, but consider lightweight, re-useable options as well. I love bringing our wood plates to picnics – they’re lightweight and re-usable and totally beautiful. Plan a simple, hearty menu and know how to pack it for transport: I use Kilner clip top jars for things like pasta salad and fruit salad. I’ll sometimes even pack dessert parfaits in smaller jars. 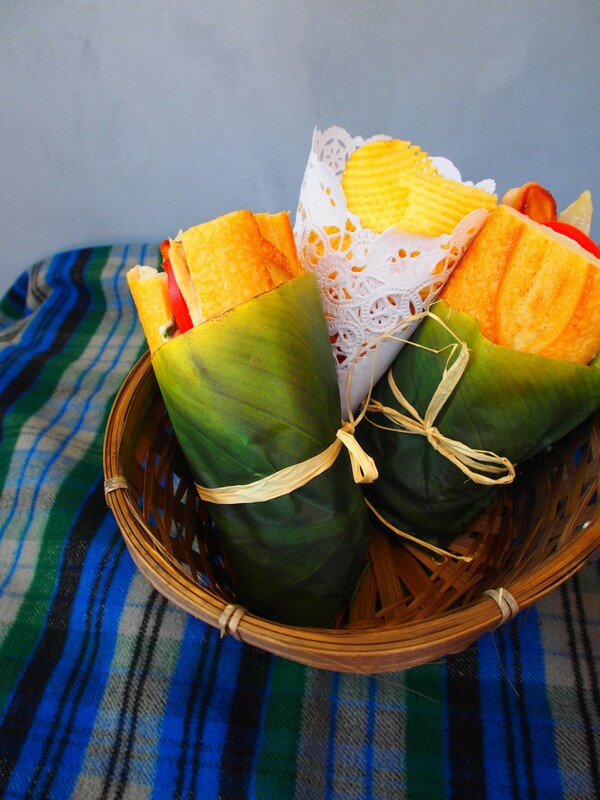 For sandwiches, I wrap them in paper (or occasionally doilies or cheese leaves if I want something prettier.) For wine, I use the incomparable Martha Stewart’s method of wrapping bottles in a blanket (often my picnic blanket.) For things that need to be packed flat (like last week’s deviled eggs), I actually use egg cartons. 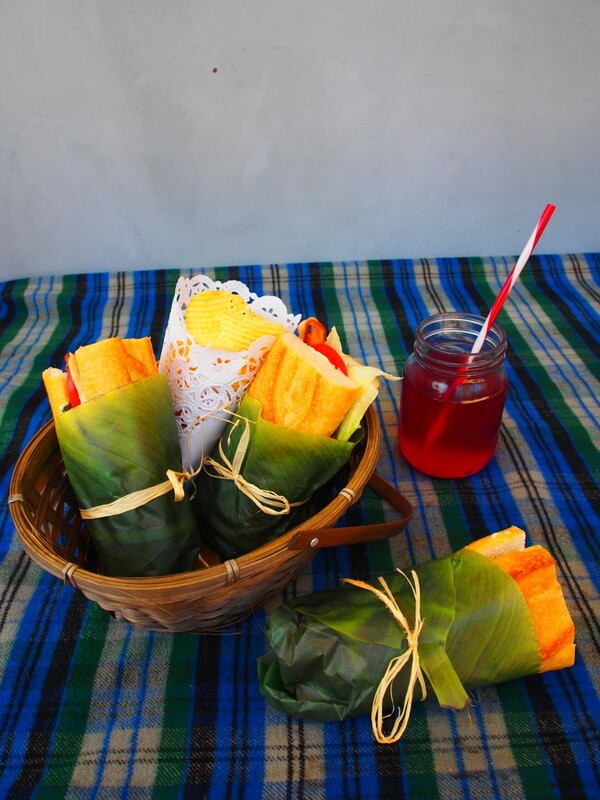 Anything can be picnic food, if you pack it right! Bring Clear Drinking Glasses: True story: When I was about 10, I was at a picnic and took a big swig from a bottle of delicious root beer. Turns out, yellow jackets also like root beer, and I ended up with a very angry bee in my mouth. You can guess what happened next. To avoid any bug-related mishaps, I pack clear Kilner jars to drink from. I also pack their lids for people to use if they’re playing a game, taking a hike, or just not in the mood to sip. Anything to keep the bugs out. The perfect picnic basket isn’t always a basket: I normally bring 2: One large, soft-sided cooler where I stash ice, anything with meat, eggs, dairy, etc and a large canvas tote bag for non-perishables, dishes, etc. Bring Garbage Bags: A lot of designated picnic areas have trash bins, but no matter where you picnic, it’s nice to have a trash bag handy. I hang one off the end of a picnic table or keep one just a few feet away from the picnic to encourage folks to throw out trash BEFORE the wind takes it away. Plan for the end of the event: Bring zip top bags to pack any leftovers you want to keep, extra napkins, and baby wipes – the unscented kind so you don’t attract bugs. It’ll make clean up of sticky hands, plates, and more a breeze! Delegate: Let’s say you’re planning a picnic with friends – ask one person to bring drinks, one to bring chips, etc. Giving everyone something to bring (and carry in, if you’re hiking to a picnic spot) makes your job easier! Make it lovely: Picnics are casual, but there’s no reason they shouldn’t be beautiful. Bring a bouquet of flowers (marigolds give off natural bug repellant,) portable battery operated lights, some music, some games, and beautiful, colorful food. Really make the most of the beautiful weather and enjoy your party! Don’t forget utensils: I’ve done that a couple of time, and it stinks. Bring serving utensils if you’ll need them, and plenty of forks, spoons and knives! I always keep some in an outside pocket of my picnic cooler after forgetting one too many times. I also always pack a small chopping board and a utility knife. They’re good for serving cheese, cutting fruit into smaller pieces for kids, and more! Ready to throw that picnic? I sure am. If you’re having a Labor Day Picnic, tag pictures with #PacMerchantPicnic on Instagram/Facebook/Twitter. We’d love to check out what you do! You may even win a gift certificate to our site! Now on to that recipe. One of my favorite things about summertime is fresh, ripe tomatoes. I just can’t get enough. When thinking up this recipe I realized that I could combine two of my favorite tomato dishes into one delightful sandwich. Voila-the super addictive BLT/Caprese salad mashup was born. And oh, I added some chicken for fun. In a small bowl, combine the mayo, basil, and garlic. Smear onto both slices of bread. On the bottom of sandwich, lay a butter lettuce leaf. If it’s too big, tear it into a smaller piece. Next add the tomatoes. Sprinkle them with salt and pepper. Top seasoned tomatoes with thinly sliced chicken. Add the bacon, then close sandwich with the top of the bun. To pack these sandwiches for a picnic, wrap them tightly in foil, butcher paper, or cheese leaves and tie with baker’s twine. I love using our large banana leaves for this. They’re big enough to really keep the sandwich wrapped tight so that transporting and eating them is a mess-free experience! Happy Labor Day, folks! Enjoy this last 3-day weekend in summer! 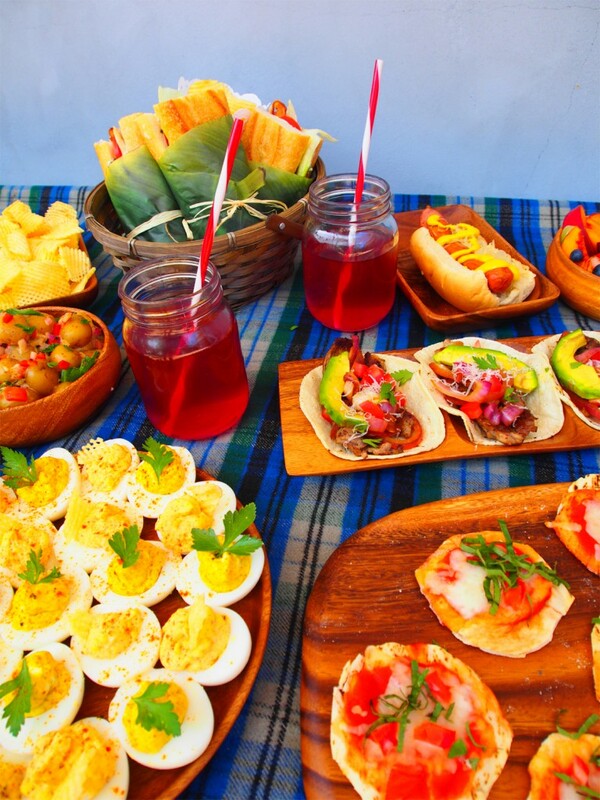 Posted in Acaciaware, cheese leaves, Decoleaves, Entertaining, General, holiday, Homemade, Kilner, Pacific Merchants, Recipes | Comments Off on Picnic Food Ideas – Just in Time for a Labor Day Picnic! Anyone who knows me knows I’m an ice cream junkie. It doesn’t even need to be fancy ice cream, though I’ll never turn down the truly good stuff. I’m the person who ate gelato 2 meals a day while traveling in Italy since a nice, fruity gelato was almost like having fruit and yogurt for breakfast. And it was SO HOT at lunch. Naturally, if you’re addicted like I am, mixing ice cream with my soda never sounds like a bad plan. When I was throwing a party with some good friends a few weeks ago we decided to really push it over the edge and make a boozy, sweet and spicy float that became the hit of the party. Seriously, This stuff is ADDICTIVE! It’s the best root beer float I’ve ever had! As you can see, it’s not exactly a traditional ingredient list, but man, do the flavors in this sing. If you can’t find cinnamon ice cream, use 2 scoops of vanilla and a healthy sprinkle of cinnamon for a similar flavor. Making the floats is pretty straight forward: Scoop the ice cream into a glass – we used Kilner jars – so cute when throwing an outdoor party. Add the bitters, then the vodka over the top. Top off with the root beer, pouring gradually. If you’ve ever had a root beer float, you know that it likes to foam up, so a gradual pour will keep you from making a mess. 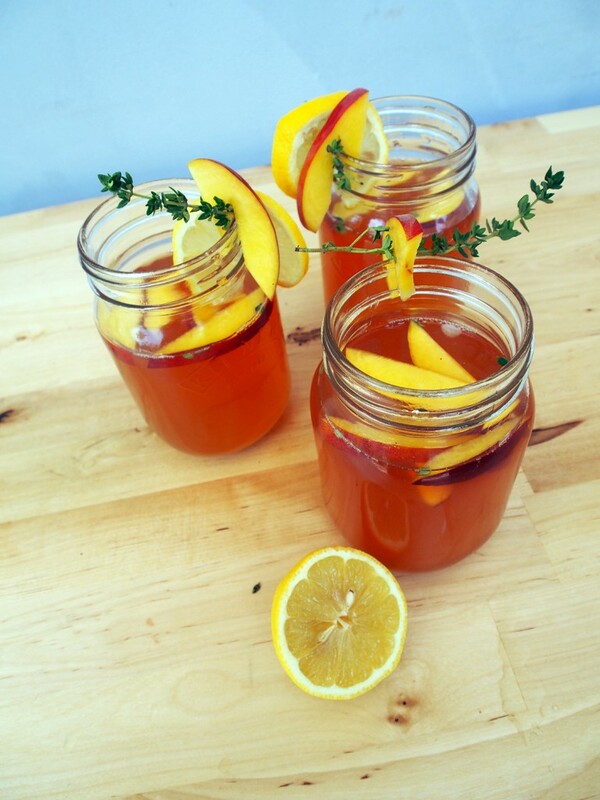 Serve your drinks with both a straw and a spoon for maximum deliciousness. Want more float ideas? Here are a few more of my favorites – They’re delicious with and without the alcohol, so you can serve party goers of any age. Serving suggestion: Use one color straws for alcoholic drinks and another color for non alcoholic. That way, you can see at a glance if a kid picks up the wrong drink. Think of doing fun colors for kids and a more sedate color for adults, since kids are more likely to get possessive over a favorite color. 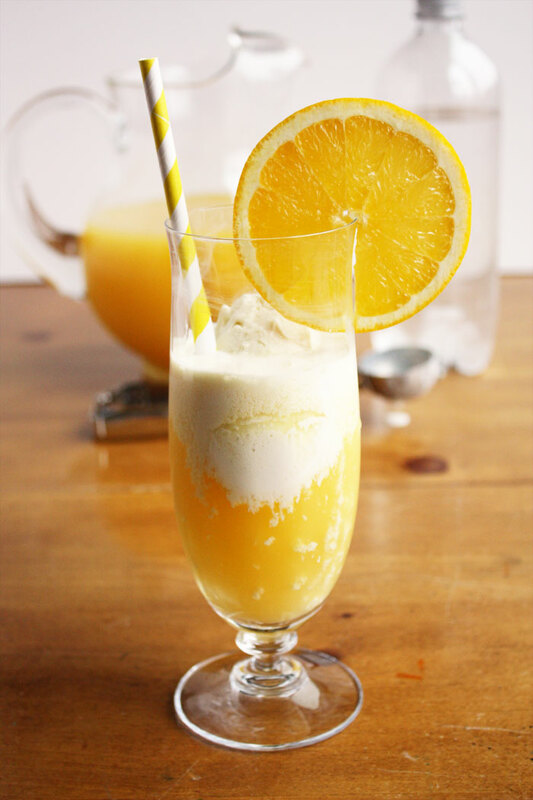 2 cups fresh-squeezed orange juice. As you can see, float possibilities are pretty much endless, whether or not you partake in the alcohol consumption. Get experimental with yours – tag photos with #PMTCFloat on instagram to show off your favorites. We may share your photo or hook you up with a gift certificate!